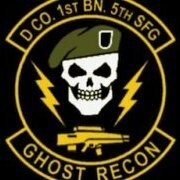 Hey I want to use USSOCOM 75th Ranger, Navy SEALs DEVGRU and Delta Force together with NATO SF and Russian Spetsnaz Weapons which is required. I've downloaded the newest version of both Mods. 1. both Mods are called @mas, so i copied both together. 2. On start up i get an error message "Addon 'mas_usa_mars' requires addon 'mas_weapons'". There is no file "mas_weapons" where do i get this file. But I have some troubles. all my weapons have mas_ prefix in order to avoid conflicting with Others, so I don't know what's causing the issue, anyway all my M16 take dependancy from my HK416, so I really don't see the issue on my side. Love the skins mate, using these and your Russians for the next campaign. Thanx for the great work. Thanks anyhow, I believe its a problem with the vas load. Maybe if items have the same display name or something then only one gets loaded. Both versions show up in the arsenal though... Makes me angry cause I really like your units and that rifle. Iâ€™m updating all my units pack in order to equip them with new vehicles from my NATO SF\Spetsnaz vehicles pack . And yes I just verified and reinstalled MAS DevGru Delta & 75th 1.4 and New MAS Vehicles & Weapons packs to make sure I'm not missing a pbo. Everything else that is listed is present, just this one cat missing. Just installed the new MARSOC pack. I can get to the new manned vehicles there, but not thru USSOCOM. Massi, you're a gentleman and a scholar, but I promise to keep it a secret. Very Nice work. I appreciate how much content you have been able to wrap around the Nato SF Russian material. 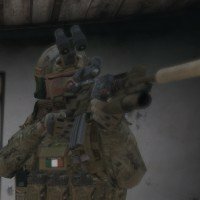 Does updating this mod cause issues with already created scenarios using DEVGRU units?? Great work Massi, well done! I only noticed one thing, SL and a couple of other units that use HK17 dont spawn with optics on it (they had one before). Has anyone else spotted this? 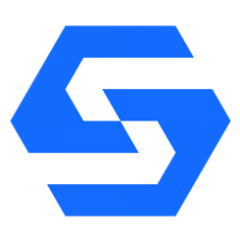 You cannot play/edit this mission; it is dependent on downloadable content that has been deleted. I have @mas_usa_devg, @nato_russion_sf_weapons, & @mas_nato_rus_sf_veh enabled on my server, although I'm not sure which is causing the problem. Any future updates to having ACOGs or Specter DRs on the rifles instead of the vanilla ARCO sight? All the skin mods are great and I'm using them for my campaign missions with my friends. GREAT WORK! This question is not directly related to this mod, but I am totally lost. 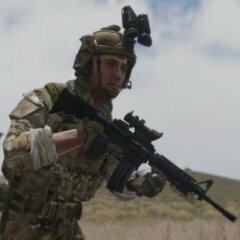 Its my first day playing Arma 3 (and any arma game) and I have this mod installed after a few tries. Now I can see all itens while using the virtual reality edition. I have assembled a SFG soldier and have the loadout save here. My question is: how can I use this soldier in a multiplayer game? 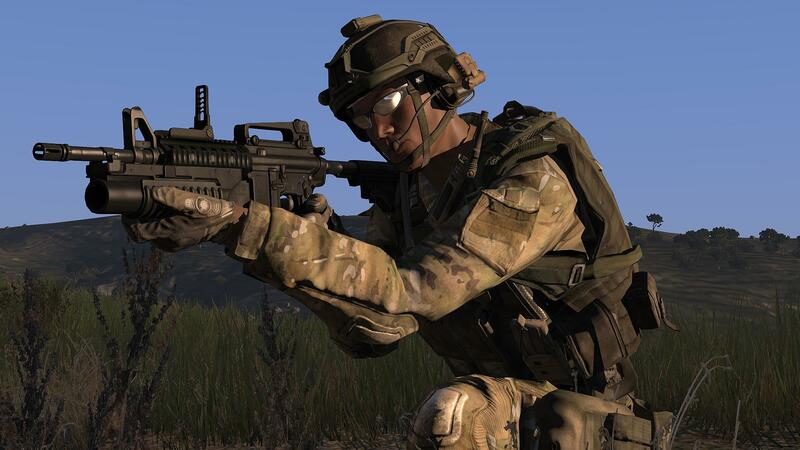 And in my campaign or single player sandbox (if arma 3 has any)?